We have a choice of horseshoes in New Zealand and they all offer slightly different benefits. Farriers generally understand some of the benefits of true concave steel shoes. At farrier competitions in NZ (and in many countries around the world) the use of concave bar is common place. Similarly the training of apprentices and shoemaking in general relies heavily on concave bar – much of which is rolled in the UK. Some might argue it’s the most suitable material for horseshoes for many sport, riding and station horses in the NZ environment. But most of the machine made horseshoes in NZ aren’t made from concave bar. Drop forging and other manufacturing techniques are well suited for mass production. This can help with cost but some of the benefits of shoes made from concave bar are compromised. So what’s so good about concave section? The shape of concave steel has been designed specifically with the horse and it’s performance and safety in mind. Namely to maximise grip and non-slip, to reduce shoe loss and interference injuries but also to support the hoof, to help with good nailing and wear yet making the shoe relatively light when considering the coverage to the hoof and size of foot. Similarly, station hacks and high country horses working on challenging terrain couldn’t in my opinion find a more appropriate type of shoe than one made from steel concave barstock. It’s a traditional material but very well designed and one that stands the test of time. 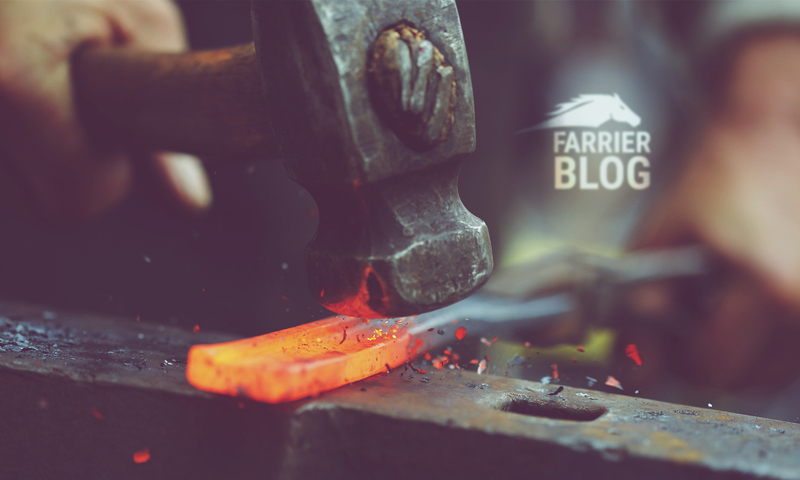 Next PostNext If my horse goes lame after being shod, should I call the farrier or vet?